In most parts of the country, climatic conditions require that outdoor air must be heated and cooled to provide acceptable thermal comfort for building occupants, requiring the addition of HVAC systems. The main purposes of a Heating, Ventilation, and Air-Conditioning (HVAC) systems are to help maintain good indoor air quality through adequate ventilation with filtration and provide thermal comfort. We can design a quality system that is cost-competitive which incorporates traditional ventilation designs, while successfully providing an appropriate quantity and quality of outdoor air, lower energy costs, and easier maintenance. Even with our cold and unpredictable climate Air Conditioning has become as much of a necessity as the PC’s and work equipment we use all day. Air Conditioning or even “Climate Control” now heats as well as cools, this is a massive benefit to end users as they can now have complete control over the comfort of the workplace or even domestic environments. With the introduction of heating, some air conditioning units boast some of the best energy efficiency ratings of any other heat source. As an example: A warm air blower which produces 2KW of heat uses 2KW of energy. An efficient air conditioning system that produces 2KW of heat only uses a quarter to a sixth of that, this makes air conditioning heat pumps one of the most efficient and environmentally friendly heating systems ever devised. As with any piece of equipment the correct Installation and service package is essential for the uninterrupted and most efficient operation of the system. At The Cooling Company we pride ourselves in offering a bespoke package to our clients, from quoting and design, to air conditioning installation and air conditioning maintenance. As with any bespoke service our clients really do select what’s best for them, while only being advised, technically to fit in with their requirements. 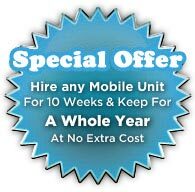 We offer a free no obligation site inspections. The purpose of inspection is to advice you whether what units are compatible to your home or your business. House inspectors that will visit your house is an expert in air conditioning system making sure that the company you have hired will give you what you need giving you variety of choices on what to choose depending on your preferences. Our air conditioning packages suit the needs of every client. We will visit your premises to discuss in full, everything that’s important to you regarding your new air conditioning installation or indeed service and maintenance of existing systems. Once we are both happy that we can fulfil your requirements and you will receive the quality and service you expect, we will then carry out an initial technical survey ensuring all of your requirements are met and then document the installation and service procedures, outlining all health and safety requirements for a smooth operation. There are a whole number of different types of air conditioning systems available, all of which have their own place in the market and a suitable application for each air conditioning unit to fit? We have listed some of the names of different types of air conditioning systems you may have heard of, if you have any questions regarding any type of air conditioning system then please feel free to contact us and we’ll be glad to help. We understand that we understand our jargon and our aim is to help you do the same. Wall Mounted – Air Conditioner As it suggests, it hangs on the wall. Ceiling Cassette – This unit is recessed into the ceiling usually square. Floor Standing – You’re getting good. Standing on the floor. The indoor units seem fairly self explanatory, it’s really just the outdoor units which are full of techno-babble. But here goes. Single split system – 1 indoor unit and 1 outdoor unit. Triples and Quads – You got it more indoor units. Multi-splits – again 1 outdoor with multiple indoor, these are more individually controlled air conditioning units. VRV and VRF’s these are essentially the same – Multiple indoor units all with their own control running from 1 outdoor unit. These can even heat and cool simultaneously. Chiller plants – These are system which cool a large amount of water and pump it around a building. There are more types of air conditioning systems, however these account for the vast majority. If you have read this far and still want to know some more then please contact us for your air conditioning requirements. From air conditioning installations to air conditioning maintenance, The Cooling Company have the answer. And if you wish fresh air in clean place, our expert friends will be there forcleaning services to make your place adorable.